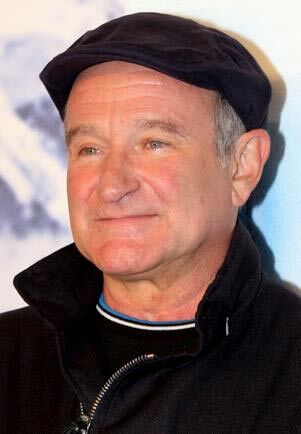 Truly a sad day today when I got the news that comedienne Robin Williams passed away at the age of 63. Like most of the people in my generation, we grew up being entertained by the delightful antics of Mr. Robin Williams. I remember being astounded with his impromptu talent of saying something funny, like a faucet he could just easily turn on and off. There's an old adage that for an actor/writer, drama is easy but comedy is hard. He was truly an artist in a sense that making people laugh was easy for him. As a young kid I remembered laughing my socks off watching him in Mork and Mindy. As a teenager it was while watching Good Morning Vietnam, Hook, The Fisher King, Aladdin and countless more. More than that he was inspiring with his portrayal of his more serious characters, like in Dead Poets Society and Good Will Hunting. Right now it's kinda hard imagining that I'm going to have to live the next years of my life without being able to look forward to any new work by Robin Williams. Thanks for all the happy memories Mr. Williams and especially for lifting me up through all the times I needed a little laughter in my life to cheer me up. I guess my only regret, like probably the rest of your fans, is that we weren't able to return the favor.